Knowledge of consistency limits is considered important in predicting the engineering properties (viz., swelling, shrinkage, strength, etc.) as well as for identifying and classifying the geomaterials. Determination of these consistency indices becomes even more imperative when selecting geomaterials (soil or waste) as a resource material for constructing earthen structures. 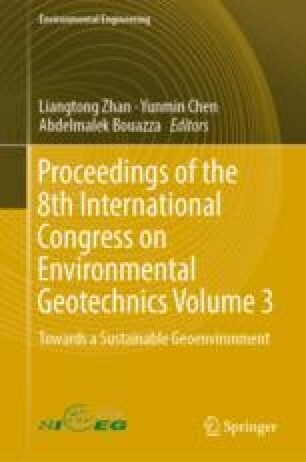 This paper focuses on evaluating the consistency limits (or Atterberg’s limits such as liquid limit, plastic limit, and plasticity index) of red mud waste admixed with oxalic acid, gypsum, sodium silicate, and the combination of fly ash and gypsum additives in different proportions, in a comprehensive way. The results show significant variations in the value of Atterberg’s limits of ameliorated red mud waste vis-à-vis with that of raw waste. It has been inferred that the results reported in the study are of great help in asserting the suitability of the red mud waste in geotechnical engineering applications. The research work presented in the paper was carried out with the financial support provided by DST-SEB, Govt. of India. Authors greatly acknowledge and thank the DST- SERB, Government of India, for the financial support for carrying out this research work.